CWelcome to my wonderful studio of Yarns & Fibres. 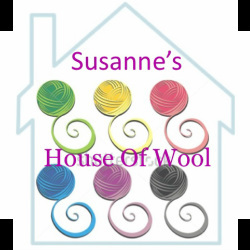 I sell Hand Dyed Knitting Yarns & Spinning/Felting Fibres. "A Personally Approved Tikki Recommended Seller"
Please pop over and take a look at all her designs, and if you are interested in owning your very own hand knitted creation, please let me know. I welcome custom orders also.